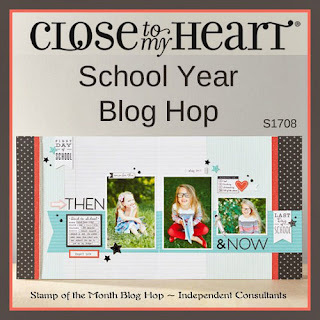 Welcome to the Close To My Heart Stamp of the Month Blog Hop! 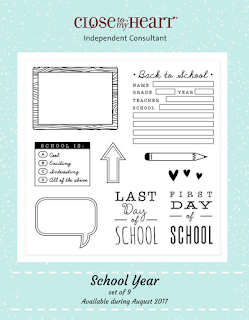 Consultants across the globe will be featuring August's Stamp of the Month, which is called "School Year" (S1708), a set of 9 My Acrylix stamps. If you have come here from Gina's blog, you are on the right path! 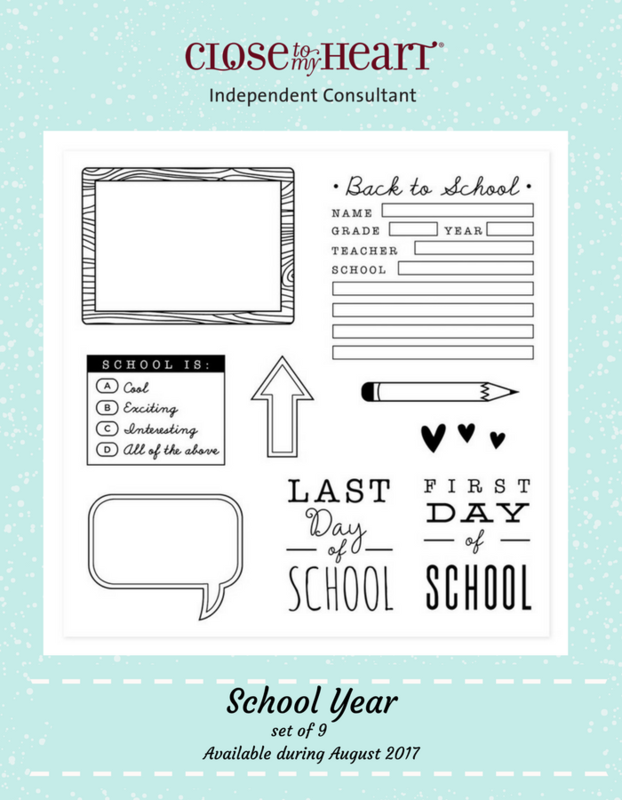 The blog hop is a circle, so you can start here and work your way all around. If you get lost along the way, you’ll find the complete list of participating consultants on Melinda’s Blog. This month, we have nearly two dozen (!!) 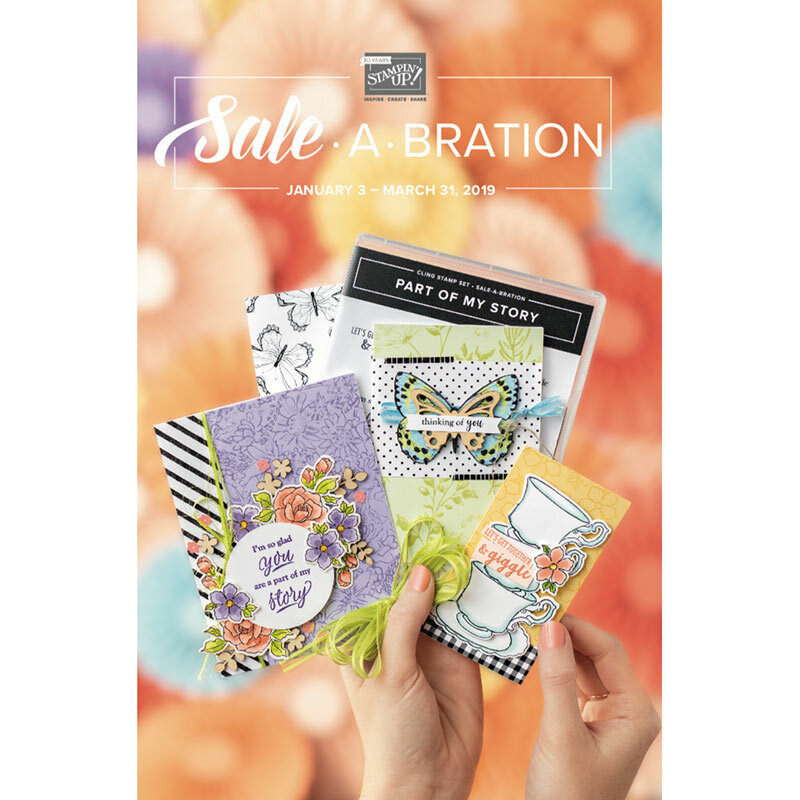 Close To My Heart Consultant/Bloggers sharing their creations that feature this month's Stamp of the Month and other great CTMH products. To follow along, just click on the link at the end of the post on each blog to move to the next one. 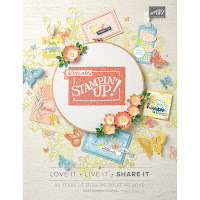 As a cardmaker, I found this month's Stamp of the Month a bit more challenging to incorporate into a card -- but I could think of a zillion ways I will eventually use it in my grandkids' scrapbooks. BUT ... there are certainly components I'll use in some cards henceforth. See that cute frame (upper left of the picture at right)? That will definitely be useful, as will the cute hearts, and the quote bubble. This is the card I came up with; I'm planning on giving it to my granddaughter Charlotte when she starts Grade 1 later this month (!!!). A little creativity and ingenuity went a long way to styling this card. 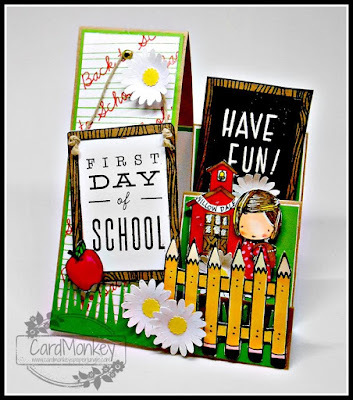 I incorporated the pencil from the "School Year" stamp set as a fence. The frames became, well, frames. I used pieces of the school data stamp (upper right in the stamp set picture) to make the backdrop for the frame on the left, by cutting the stamp apart and using the lines as horizontal accents, and then I used the "Back to School" script text stamped repeatedly on the slant. Did you know: You can cut apart any of the Close To My Heart stamps, using a sharp pair of scissors like our fine Micro-Tip Scissors? Just be careful to cut along the recessed areas (not raised) and DO save the pieces you cut off, in case you want to use them for another project. I used the Charlotte lookalike girl from the CTMH's "School Kids" stamp set, along with the school house picture and the apple on the frame at left. For the frame on the right side of the card, I heat-embossed the words "Have Fun!" on CTMH Black cardstock, using white detail powder to resemble chalk on a board. I cut the cute flowers using CTMH's Exclusive Cricut "Flower Market" cartridge. The card itself employed a "Side Step" pattern to give extra dimension to the design. I cut the card itself from CTMH Kraft paper that I lined in sections with matted pieces of CTMH cardstock for added stability. The card's finished dimensions are A2 (4.25"wide by 5.5"high). Remember, the August Stamp of the Month is only available through August 31, 2017. Its normal price is $17.95, but during August, you can qualify to purchase it for only $5.00 when you place an order of $50 or more. Please contact your CTMH Independent Consultant, or if you don't have a Consultant and want to shop with me, you can do so by going to www.cardmonkey.ctmh.com. Now "Hop" on over to Krista's Blog to see her work. 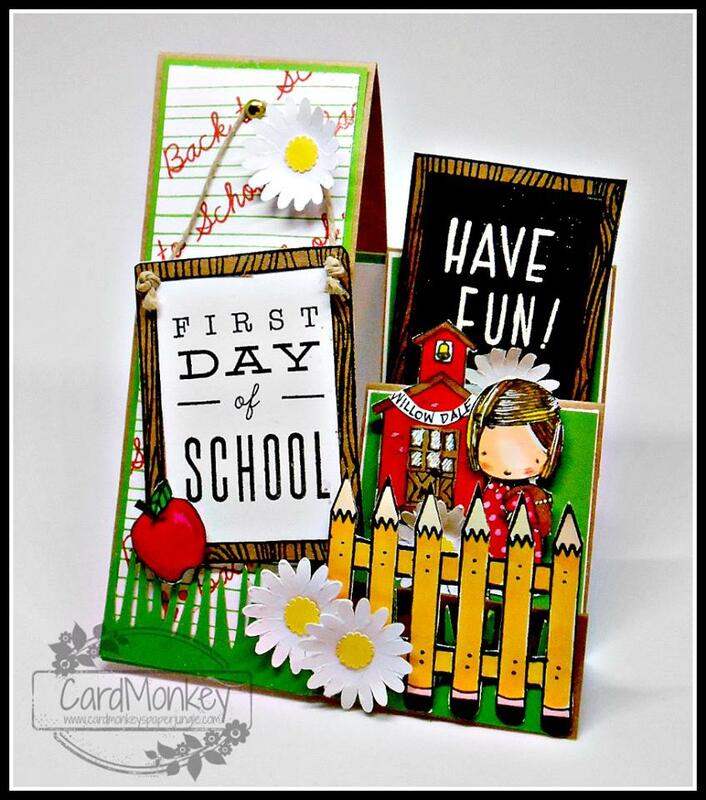 Be sure to visit all the Consultants at their Blogs to get some great ways to use "School Year" in your cards, scrapbooks or other crafting projects. Adorable card. Love the pencil fence. Wonderful card! Using the pencils as fence posts is so clever and cute. Stunning card, love the fence, love the Charlotte girl, and love that the card is dimensional. Pencil fence? Genius! What a fun card. Amazing card...So very creative, pencil fence! cut-a-part stamps! chalkboard message!So many details all together perfect! OMG the pencil fence...fantastic. There is just so much I am in love with on this card. I used a little girl who looks like one of my daughters in my card too, great job! So beautifully done, Ellen. I love the fence and all of the vibrant colours. What a great card for your granddaughter. I think I may make something like this for our granddaughter. Thanks for the inspiration. An absolutely delightful card, I suspect Charlotte will LOVE it. Fantastic card! Love the pencil fence! !